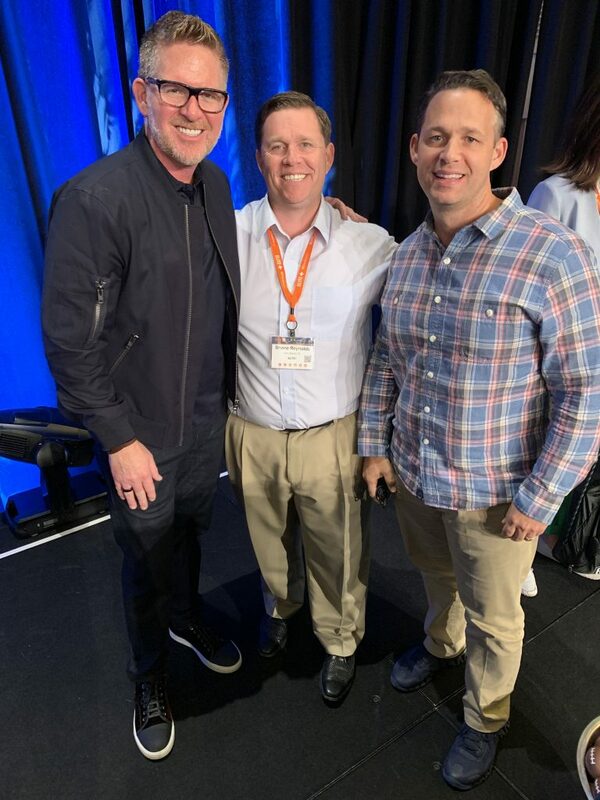 Scott and Shane attended the Tom Ferry Elite+ Retreat in San Diego last week. The 2 day event is hosted by Tom Ferry, the #1 ranked International business coach and the founder and CEO of Tom Ferry International, the real estate industry’s leading coaching and training company. The Top Producing Agents in the Tom Ferry Coaching network from around the world attended the exclusive Elite+ Retreat to participate in over 50 “Mastermind Sessions” focusing on building their business and fine-tuning their marketing strategies. Three keynote speakers also covered various topics. Scott Reynolds and Shane networked with other top producing agents during the two-day event. “Going to the Tom Ferry Elite Retreat is really a privilege. This is the best of the Elite that gather once a year,” said Shane Reynolds. “We continue to go to these events because we get training from Tom Ferry directly. Tom is always on the cutting edge of marketing and has a phenomenal understanding of the housing market. His expertise comes from working with agents all over the United States,” he said. “In addition to this, Tom also brings in some great speakers like Steve Harney who is like the Oracle of Real Estate, and Jay Abraham. People in the marketing world know Jay is the best in the business, he has worked with people like Tony Robbins and Shark Tank’s Daymond John.” Tom’s ever-growing influence impacts professionals in a wide variety of ways – including rigorous accountability coaching, the popular #TomFerryShow delivering free, fresh and relevant real estate tips weekly, highly engaging training events, two best-selling books, and his legendary keynote speeches.